Whenever Richie and I go out to eat, it's always a toss up between Chinese, or American, or Chinese, or American. Yep. Chinese and American is Richie's most favorite cuisine as far as I'm concerned. And if you're and avid reader of this blog, you probably know that already. Needless to say, Filipino cuisine is usually at the bottom of our options. Not that we don't like it. I for one love Filipino cuisine! It's just that, if we're going out to eat, might as well something that we don't really have everyday. But don't get us wrong. We do eat out in Filipino restaurants. 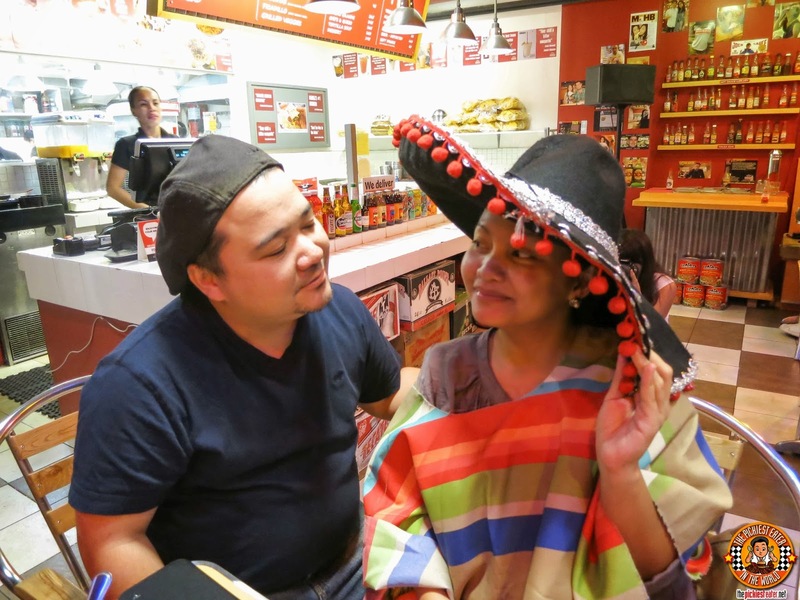 We have a few restaurants on the top of our heads that serve great Filipino dishes. 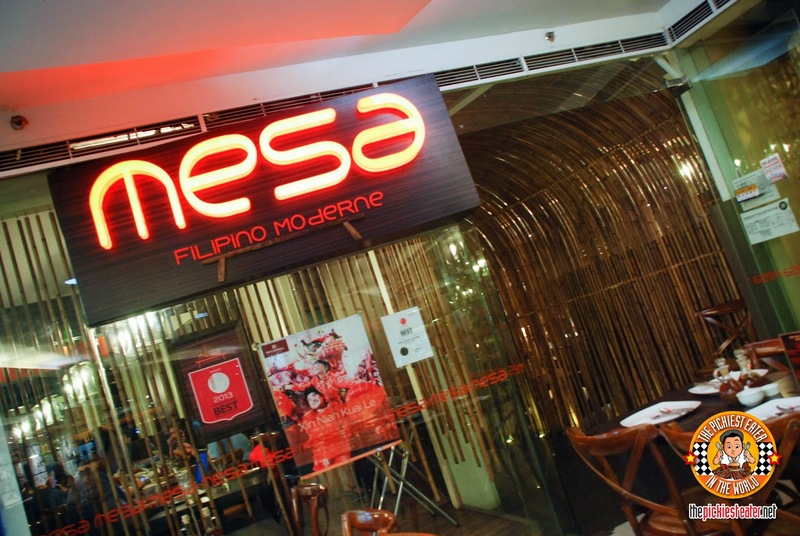 And we just added Mesa to that list after we were invited to try their delicious dishes along with other blogger pals! After Richie and I got married, I took a job at a company in Makati. The job really wasn't something that I thought I would ever get into, but never once do I feel like I needed to drag myself out of bed just to go to work. Why? Simply because of my workmates. To this very day, I consider some of the people I met there my dearest friends. One of my fondest memories with them, was our Friday nights after work to unwind after a stressful week. And there was one place that we almost always go to. And it was always full but we didn't mind waiting for a table. It’s all too familiar with credit card holders. You make purchases here and there and before you know it, BOOM! Your credit card bill arrives. And you realize you have been spending way more that what you actually can afford. That’s when regrets sink in. “I shouldn’t have bought 5 jackets” or “I knew I should have just stayed home that day rather than spend time at the grocery buying loads of bacon” (Not really a true story but it could very well happen to me!). Thankfully though I am not a shopaholic. But I do like spending on food. And I do want to travel. The wife wants to go to top amusement parks like Disney World, Universal Studios, Magic Mountain, etc. And we also want to go around the world for the biggest food trip one has ever seen. (Watch out Guinness!) 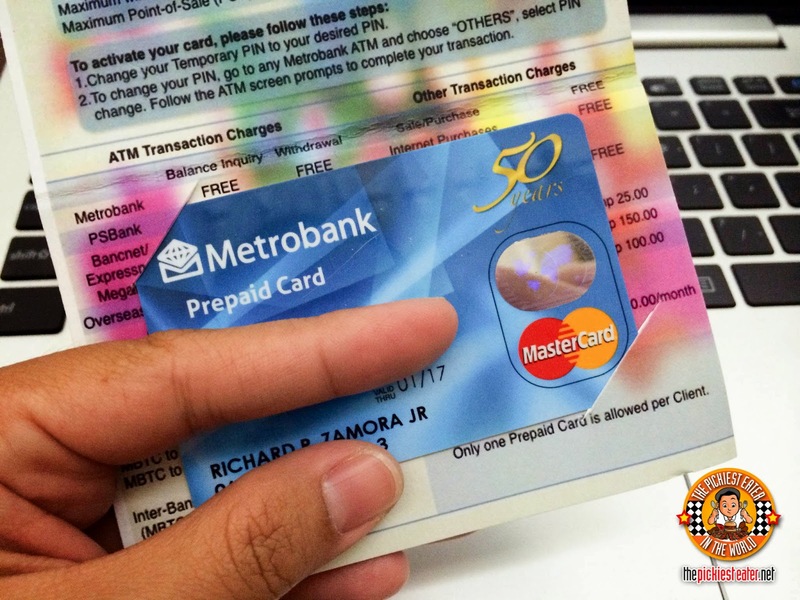 So of course it would be just wise to do all these things in our bucket list with a card that has the advantages of a debit card, and and the perks of a credit card, but that hopefully won’t allow me to go overspending during our trips. Something that allows me to live within my means, and at the same time live without regrets! LET THE QUIRKINESS BEGIN: THE QUIRKY BACON! I think I've done a good job of associating the "Pickiest Eater" name with god's gift to the world.. bacon. Not a week goes by that a reader or a fried tags me on Facebook with a bacon related article. And truthfully, I wouldn't have it any other way. Chef Sharwin Tee is a chef after my own heart. Like me, the man eats, breathes sleeps, bacon. 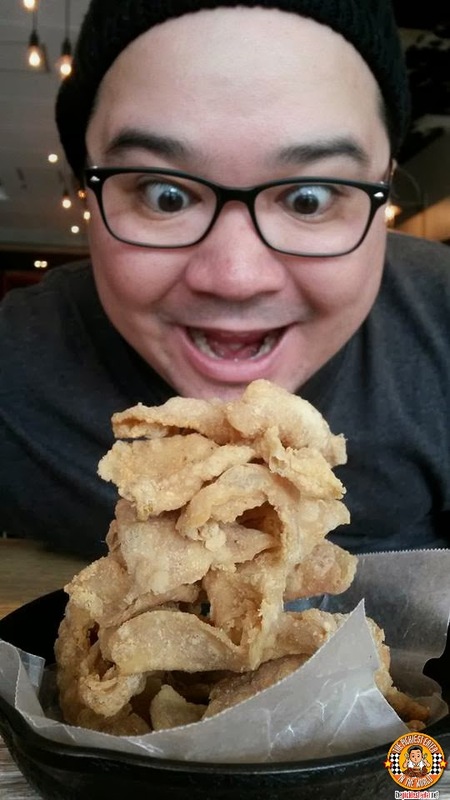 He loves those glorious strips of meat so much, he named his restaurant after it, with many of his dishes utilizing everyone's favorite meat candy... Bacon. This is my visit to Quirky Bacon. CEBU'S BEST KEPT SECRET REVEALED.. 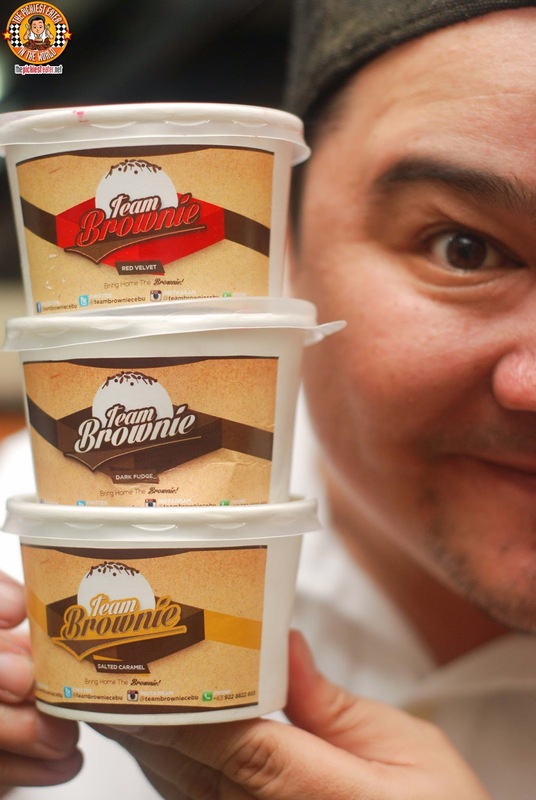 TEAM BROWNIE! If there's anything that I promised myself that I will not allow Rain to do, is follow my attitude towards school. I admit, I was never really a good student. I had decent grades in English but I was, and still am, horrible at math. But overall, I was plain and simply, lazy. Which is why I am always impressed when I meet young people who go the extra mile to achieve, not just in school, but in every aspect of their life. I couldn't imagine starting a business when I was in College. It would have gotten in the way with all my video game playing (I still am was addicted to the game X-COM Ufo Defense). Among the many blessings blogging has bestowed upon me, meeting Justinne, aka Babe For Food is one of the ones that I hold dear to my heart. I stumbled on to her site in 2012, while browsing blogs for new places to eat at in Cebu. 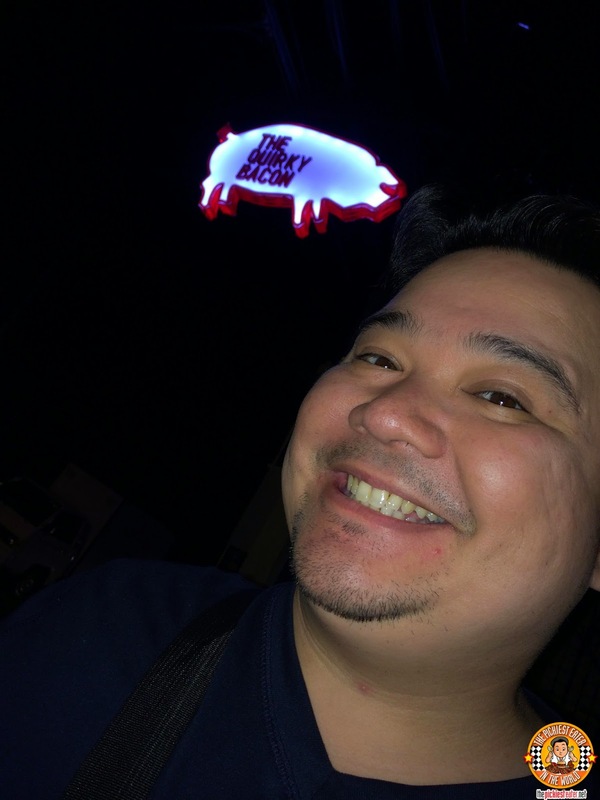 Among the other sites I had read, I found Babe For Food to be incredibly engaging, and her taste seemed to be along the lines of what I was looking for in a place to eat. I sent her a comment for suggestions to reply.. she gave me a WHOLE LIST.. and from there, the rest is history. Last December, during my trip to Movenpick in Cebu with my fellow Manila based food bloggers, I finally got to meet the lovely Justinne in person. She spent the last two days of our stay with the group, and as a parting gift, gave us a few goodies from her business. Now I want to share with you.. Cebu's best kept secret is about to be revealed.. This is Team Brownie. 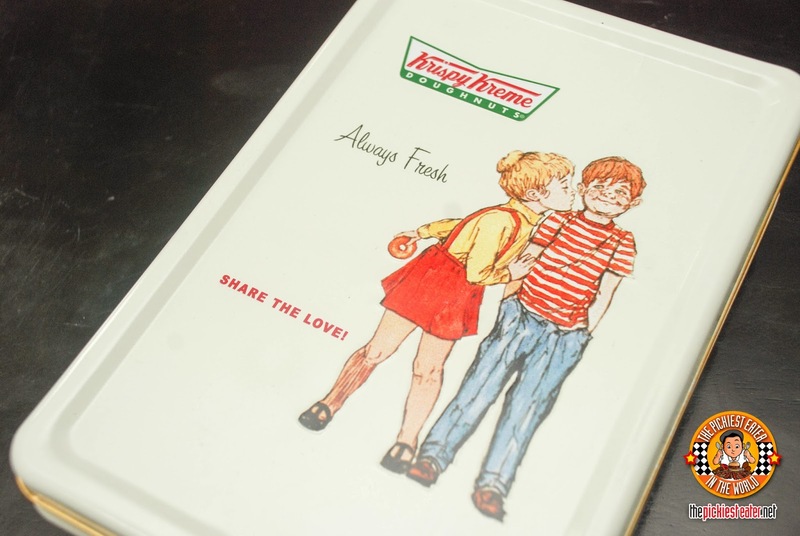 A KRISPY KREME KIND OF VALENTINE PLUS NEW BAKED CREATIONS! If you're a lot like Richie and I, then you probably don't dream about going with the Valentines Day chaos. Although there are a lot of VDay specials out there hosted by some amazing restaurants, it's just really not for us. Heavy traffic, fully-booked restaurants, full parking, not to mention Valentines Day falls on a Friday. The day of traffic. But staying home for the big VDay doesn't mean it has to be dull. It all depends on the people you spend it with, and the "pasalubong" you bring home hahaha! A few days ago we were introduce to some delicious and may I say beautiful dishes at Olive Tree Kitchen Bar. It's Manila's first Antipasti Bar located at the heart of Bonifacio High Street ( where Stock Market used to be). 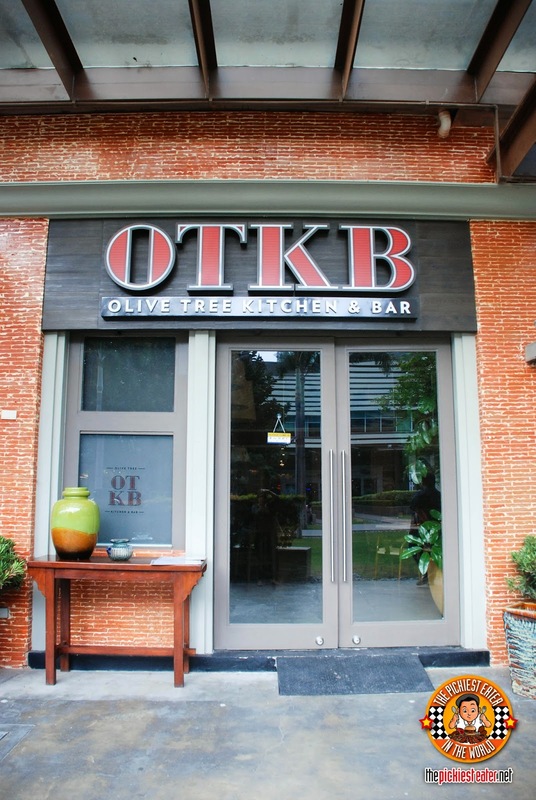 Olive Tree Kitchen Bar or OTKB is the creation of Executive Chef Rob Pengson with Sous Chef Jonvic Mangibin, and in partnership with the Del Monte Group. And now, Olive Tree Kitchen & Bar has created a new Tasting Menu that contains five courses plus antipasti and dessert on top of the 5 courses. From this tasting menu (P1,900), you will get a a little bit of the wonders that his kitchen has to offer! If you've been reading my blog for awhile, then you probably know my affinity for burgers. In a country filled with rice meals, I often find myself on the lookout for the most delicious beef patty (sometimes two or three) slapped between two soft buns. I'm always intrigued when a new burger shop pops up and it becomes imperative for me to try it. When I found out that Burger Bar came up with a "little brother" called "8 Cuts", there was no question in my mind that I had to pay U.P. Town Center a visit once more. Given the pedigree of the Moment Group, I was convinced that 8 Cuts would be nothing short of awesome. And I love it when I'm right. I could think of countless times wherein I was in a situation that made me wish I could play loud music in the background. For instance, when we went island hopping a few years ago in Cebu... or even as simple as making a group of friends watch a funny or a touching video on youtube through my phone. Most of the time the scenario would be either make them all watch at the same time but they can't hear the audio that well. or you make them watch one by one and making them use your headphones. Not very convenient (and hygienic I must say). 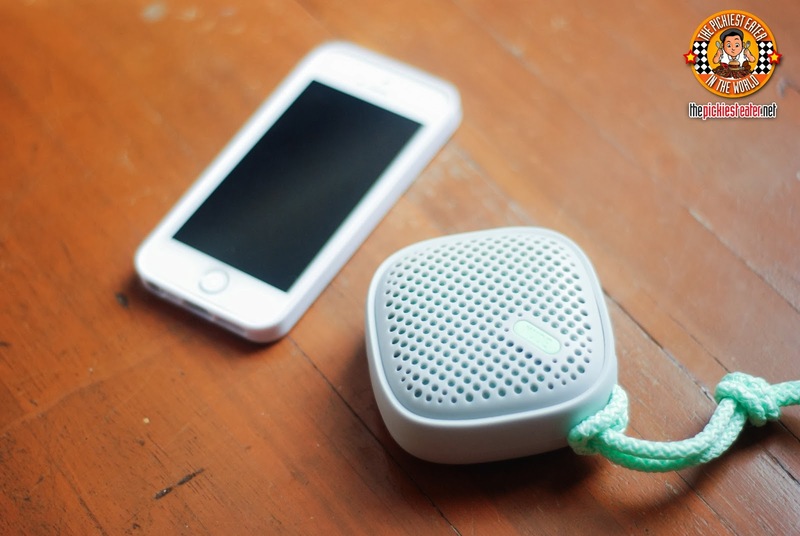 This is where a wireless and portable speaker becomes useful. 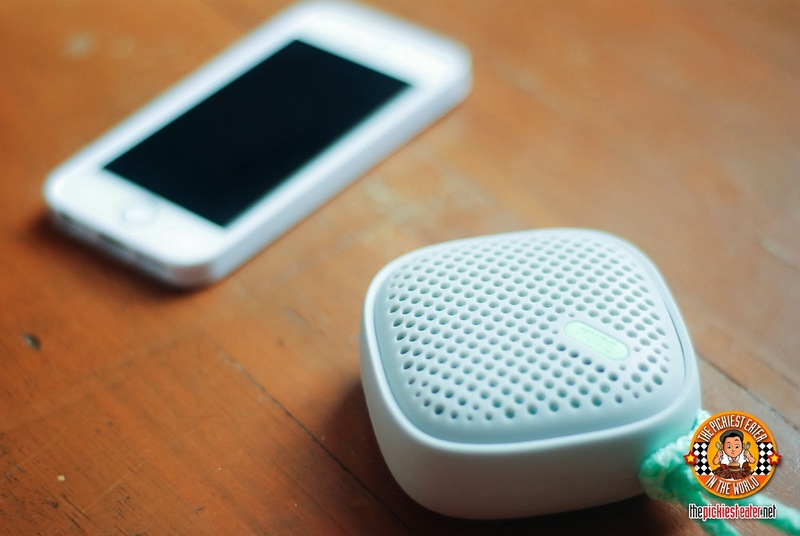 I must admit, at first, the thought of a wireless speaker didn't really appeal much to me. Until I saw one in action. In just a few taps if your smartphone, your phone's sounds can clearly stream through that small speaker box that could! It's almost like magic to me haha! 'CUE MODERN BARBECUE'S NEW PORCH MENU! I've actually only been there once, and only got to try a limited number of items on their menu, but Cue is definitely one of my favorite restaurants. From the moment I saw a friend post the picture of the Steak and Bone Marrow Tacos, I knew that this restaurant, whose them is "Modern Barbecue", was right up my alley. As a testament to how good the food was, here's a little anecdote.. I was invited over a few to 'Cue, a couple of months after it had opened. On the date that Rina and I were supposed to visit, the marketing guy that invited me didn't realize that he scheduled my visit on a day that he would be out of town, and didn't endorse me to anyone. He apologized, and said we could re-schedule for another day, which was fine with me. But the problem was, I had studied the inside and out of the menu every single day leading up to my visit. Meaning my mind and heart was dead set on finally trying 'Cue. There I was, standing at the door of the restaurant I had been drooling over the past couple of weeks, so I decided, "You know what? Forget the invite! Let's eat now!". 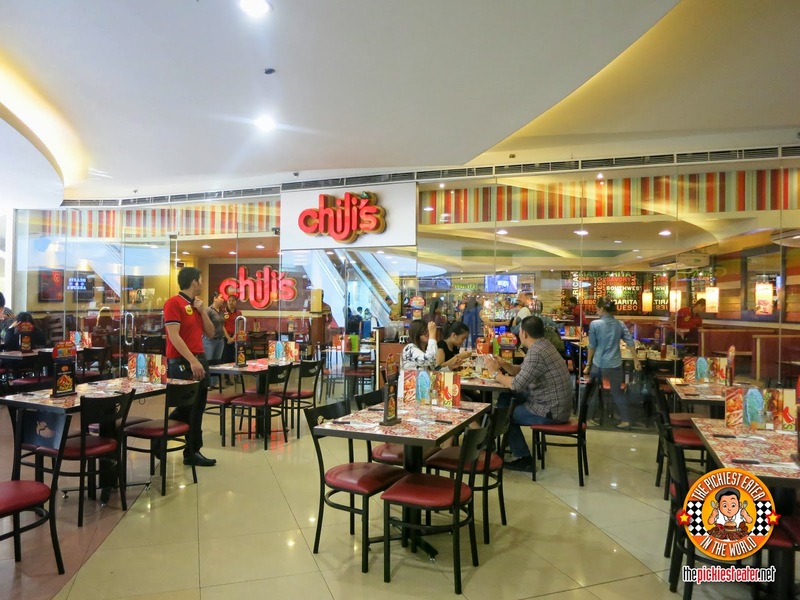 Since we were eating there on my own dime, our feature was not as extensive as I would have liked, as 'Cue's price are a little steep - not say it isn't worth every cent, but still a bit steep nonetheless. I told myself that Rina and I would go back soon, but our schedule hasn't permitted it. So even though I don't drink, when I was asked to sample Cue's "Porch Menu", I said YES without a moment's hesitation. 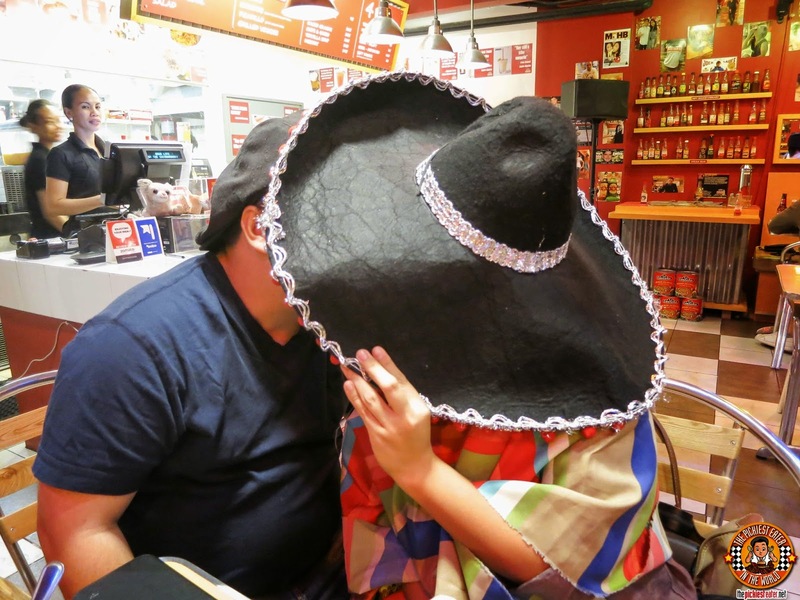 Things weren't always what they seemed that night..
Richie's hyper-acidity prevents him from enjoying Tomato based dishes, which is why Mexican restaurants are usually our last option. 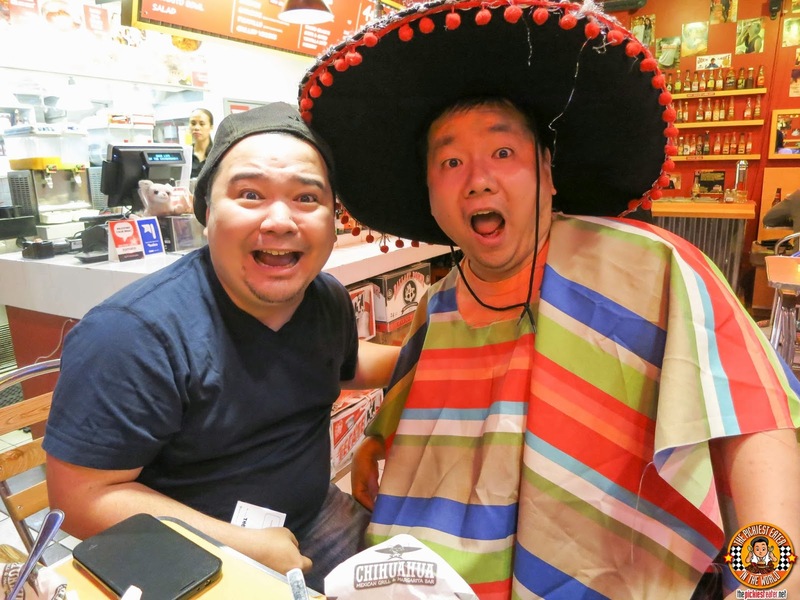 But when we were invited to have dinner over at the Greenbelt branch of Chihuahua Mexican Grill and Margarita Bar with our other blogger friends, there was no way we could say no. Truthfully, I was the more excited one! It has been a while since I had a glass of margarita and so I was really kind of looking forward to it! I won't lie to you.. Being a blogger certainly does have it's privileges. But to me, all the free food and hotel perks that I have had the pleasure of enjoying comes only second to being able to meet some inspiring people behind the business, that I am proud to call a friend. One of those people is Chef Cecille Chang. 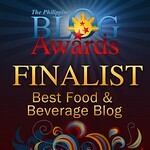 I first met Chef Cecille when a fellow blogger, Shen's Addiction (congrats btw Shen! 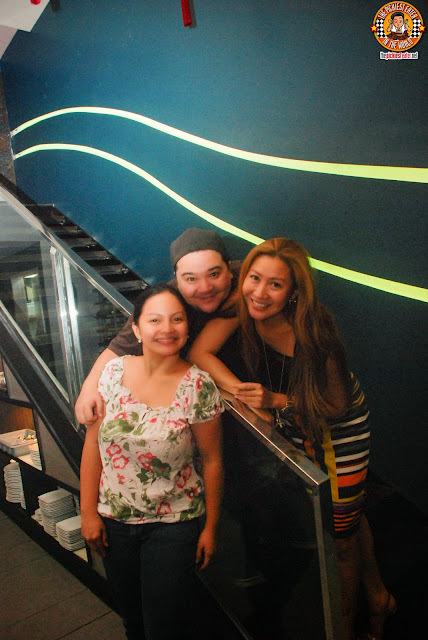 ), invited Rina and I to try Thai Bistro, which at that time, had just opened. My first impression of her, was that she isn't your sterotypical Chef that stays in the kitchen in her Chef Whites, with her hair up, as she stirs pots and pans. True to her nickname, "Chef in Stilettos", Chef Cecille cooks amazing food, and knows how to look fabulous while doing so. More than anything, it was how incredibly down to Earth she is that endeared her to Rina and I. She sat down with us as we ate, and we swapped stories, just like we had known each other for ages. And we loved how she was unafraid to speak her mind with her firm, yet fair opinion. But make no mistake about it- Chef Cecille knows her food, especially when it comes to the complex art of Thai food. She proved that with her work at Thai at Silk, and reaffirmed that with Thai Bistro. It is one thing to know how to cook Thai food.. But it's another to take it to the next level. Which is what Chef Cecille does with every dish she makes. It is in her latest "Baby", Silk Road, that she puts a definitive stamp on being the leading name in Thai Cuisine in the country today. Easily one of my best dining experience in 2013. 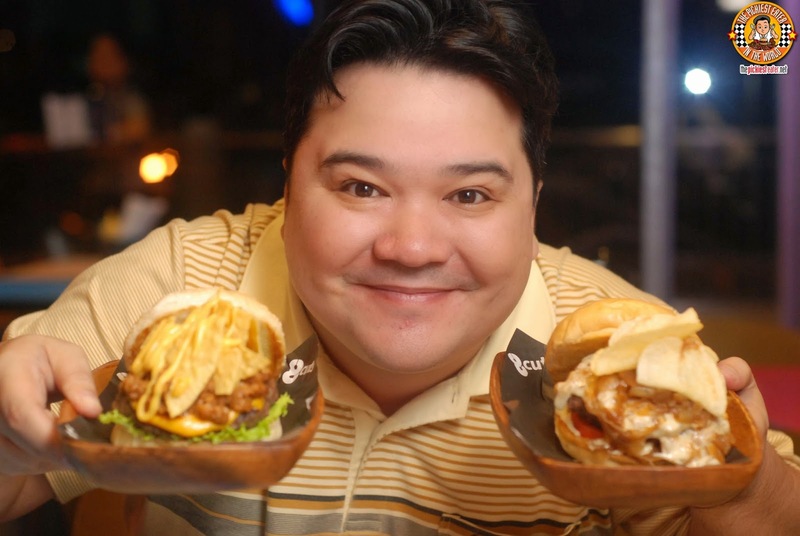 FOOD FOR THE HEART: GMA-7 STARS AND THEIR YUMMY CREATIONS! These talented actresses can do more than act. They can cook and bake too! Chynna Ortaleza, Ryza Cenon, and Bettina Carlos, all stars of GMA Network apparently know their way around the kitchen and can whip up some excellent homemade goodies. It's honestly quite intimidating. With their beauty and their talent, they can rule the world hahaha! Not to mention they are all really really super nice! Last January 16, food bloggers were invited to have a relaxing afternoon to chat with these lovely ladies and taste their yummy creations!